Meet with An ISA Certified Arborist for FREE! Whether you know exactly what you need done to your tree or are looking for some further direction our arborists can help. To meet with an ISA Certified Arborist in the Portland area just put your basic info below and let us know what day and time work best for you. We will contact you and handle everything! The arborists at Urban Forest Pro are not just experts at tree pruning, tree removal, tree planting and any and everything else related to tree cultivation — they’re also certified by the International Society of Arboriculture — each and every one of them. Few tree service companies in the Northwest can make that claim. Tree work is both a delicate and dangerous undertaking. The expert arborists at Urban Forest Pro take care to protect themselves, the tree and our clients’ properties. When you hire Urban Forest Pro for tree pruning — or anything else! — you can be certain that you’re hiring the absolute best in the business. 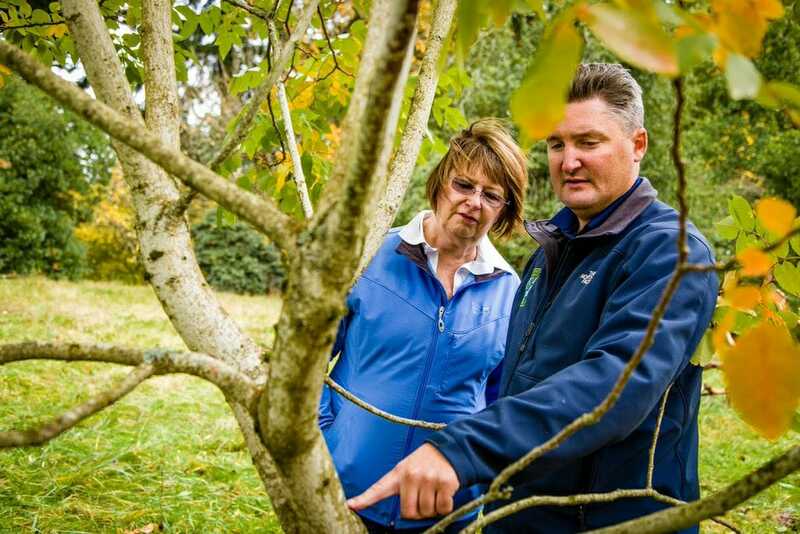 Tree pruning may seem like a fairly straightforward affair, but there are many questions that need to be answered before pruning work even gets started. Our arborists know how to answer these questions. More importantly, they know what questions need to be asked in the first place so that the job is done right. Pruning takes time to master. Master arborists know that every cut must direct growth. Pruning the same tree multiple times allows the arborist to truly understand the impact of the work. In fact, it can take up to six years for even an expert arborist to accomplish this level of mastery over a tree. All the arborists at Urban Forest Pro meet or exceed this level of experience. What’s more, we are a full-service tree company. We can plant trees and recommend those we think will maximize the beauty of your outdoor spaces. We also offer deep root fertilization services and organic sprays and treatments that will help your trees fend off diseases. And, if you like, we can even recycle your wood into milled lumber for use in furniture or other projects! Don’t let just anybody manage your tree pruning. Hire the best for your Vancouver or Portland tree service: Urban Forest Pro. Whether you know exactly what needs to be done to your tree(s) or need some guidance, our arborists are ready to help. To meet with an ISA Certified Arborist, just fill out our contact form. We’ll get right back to you!